NEW Asbury Avenue Duplex with two lovely 3 bedroom, 2 bath units located near one of Ocean City's most desirable beaches. 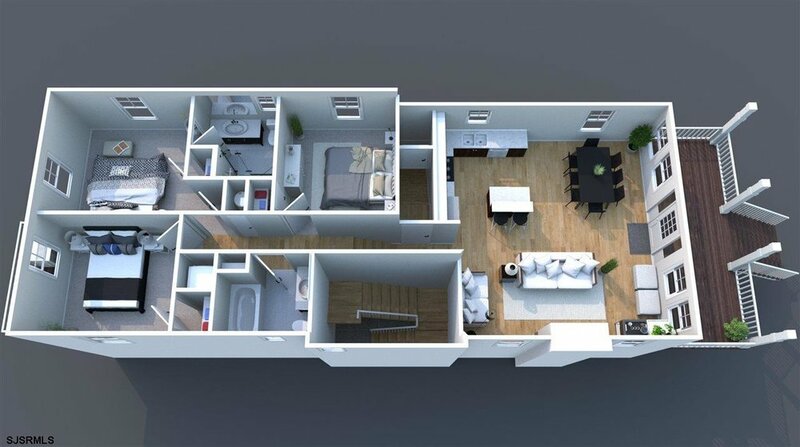 Each unit will offer a spacious great room, living area with gas log fireplace, dining area, upscale kitchen with center island, granite counters and stainless appliances, hardwood floors. The first & second floors will each offer a covered porch to enjoy the ocean breeze. Call for further details. Construction completion so you can enjoy 2019 occupancy.